There’s nothing worse than trying to talk to friends during a back yard Bar-B-Q and having to yell over the buzz of an overly loud AC unit. Before you throw your next party, take these steps to reduce the noise coming from your AC unit so you can enjoy your friends and family instead of yelling over your AC. Fans that produce a loud rattling or noisy humming sound may need to be cleaned or inspected to make sure they are not loose or damaged. Remove debris or items that may have fallen into the unit that may be causing noise. Carefully inspect blades to make sure they are not loose, dented or dinged and are moving smoothly. A wooden fence or shrubbery can help to deflect noise. Be sure to leave enough room around the unit for proper ventilation. You can also install a quiet fence that integrates the same technology that sound studios use. Installing a sound blanket to fencing or other frame around your AC unit is a great way to reduce noise by muffling the sound. When bolts on the top shroud are loose, the AC unit may make a loud rattling noise. Test to see if this is an issue by pressing down on top of the shroud. If the rattling stops, then tighten the bolts and secure the shroud. Scheduling seasonal maintenance with an HVAC expert can reduce many of the problems by finding them before they become major issues. Noises coming from your unit can be a signal that a tune-up is needed, a part needs replacing or at worst case the entire unit needs to be replaced. If you’re ready to purchase a new AC, consider upgrading to new technology with noise reduction solutions. Look for features such as advancements in AC compressor insulation and mounting materials that also quiet the compressor. Additionally, air conditioner fans can also produce a lot of noise. Look for new fan technology with improved designs that limit noise and venting systems that muffle sound. Lastly, purchase a high-efficiency AC unit with variable-speed blower fans that are quieter. Remember to use these 6 strategies and enjoy your next party without a loud AC unit drowning out your conversation. You can also talk to your HVAC specialist about strategies to reduce the noise of your current unit. 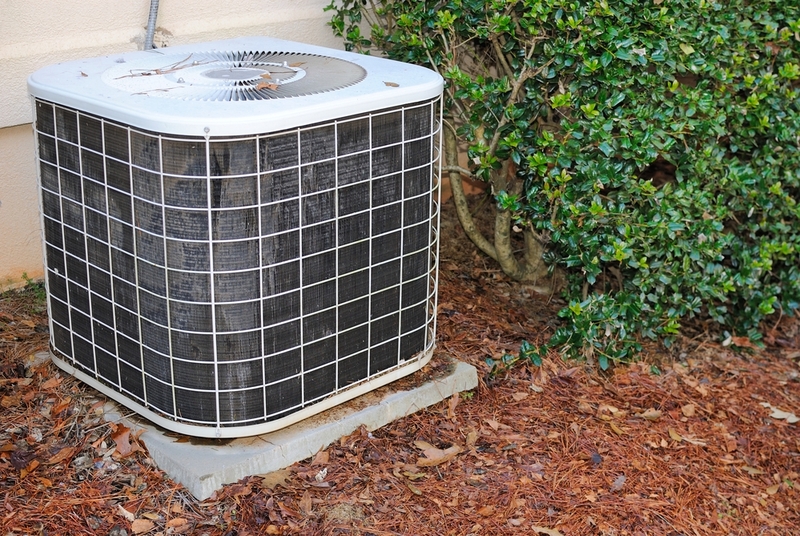 Never ignore mysterious or loud noises coming from you AC unit as a minor issue can sometimes turn into a major expense. And when the time comes to replace your AC, look to upgrade to a new high efficiency and quieter model.